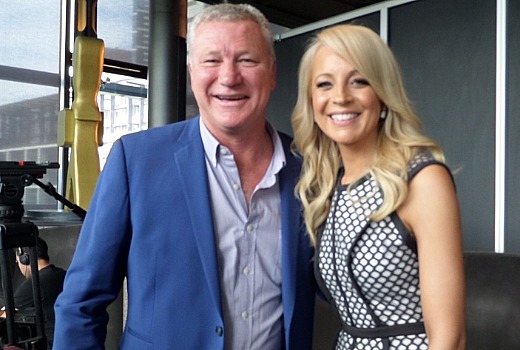 Andy Lee, Asher Keddie, Carrie Bickmore, Essie Davis, Scott Cam, and Steve Peacocke will all compete for the Gold Logie Award in 2014. Nominees for the Most Popular Awards categories were announced at a media event attended by stars in Melbourne this afternoon. Kylie Minogue will present the Gold Logie and perform. Other performers include Jason DeRulo, John Newman and MKTO. Graham Kennedy Most Outstanding Newcomer will win a trip to Hollywood through Australians in Film, the LA-based industry organisation, including a round-trip ticket to Los Angeles flying Virgin Australia, a one-year scholarship at Stella Adler Acting School in LA, and mentoring with prominent industry contacts. The winner will be announced in advance of the ceremony. No host has been announced, nor Hall of Fame. I’m disappointed Neighbours doesn’t get nominated any more too. I watch Home & Away too, but Neighbours is better, don’t understand why Home & Away is so much more popular. I can’t believe Mad As Hell wasn’t nominated either. Very happy to see Essie Davis and Miss Fisher’s Murder Mysteries do well in the noms. Hopefully this will convince the ABC to commission a 3rd series of this delightful series. As for Gold – we’ve had Karl Stefanovic and Hamish Blake win – so wouldn’t be surprised if Scott Cam won for his Mitre 10 ads. My hope is that Asher or Essie win.